Should I buy new car or used car? A few days ago, RoadLoans’ Brian Cupp spoke with a customer who wondered about whether there are advantages to buying a new car compared to a used car. “Which is better and smartest to buy, Brian?” the customer asked. The customer knew exactly what he wanted and exactly how much he wanted to spend. Start by determining what the new- and used-car average market price is in your area for the vehicle you want. This will help you decide which is more affordable for you. Go to www.kbb.com and click on “car values.” This tool will allow you to plug in the exact car you are looking for – whether it’s new or used – and show you what the average market price is in your area. • Less Maintenance – New vehicles require less maintenance. Your first scheduled maintenance won’t be for thousands of miles – an oil change or rotating the tires. • Full Manufacturer’s Warranty – Most new vehicles are under warranty for at least three years. Some manufacturers offer longer warranties – up to four years/60,000 miles. • Peace of Mind – If something breaks, the manufacturer will cover the costs to have the dealer fix it, and most provide free car rental services. It also helps to know you can choose the exact color you want, the exact features, and it is BRAND NEW. • Less Expensive, More Choice – Used cars are typically less expensive than brand new cars. Used cars make owning a vehicle more affordable if you are on a tight budget. 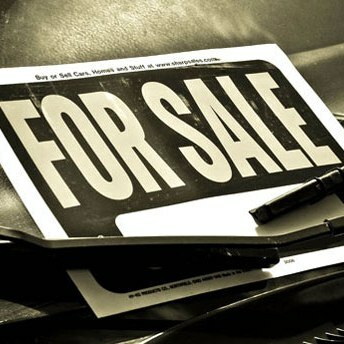 Dealerships normally will offer a variety of used cars and special savings. • Certified Used Cars – Dealerships offer “Certified” used cars, which provide an extension of the manufacturer’s warranty, sometimes to cover the vehicle until it reaches 100,000 miles. After you assess this information and decide which option is best for you, apply online at www.roadloans.com, where you’ll get quick decision on competitive rates and financing. You also will work with experienced representatives who can guide you to a dealership.